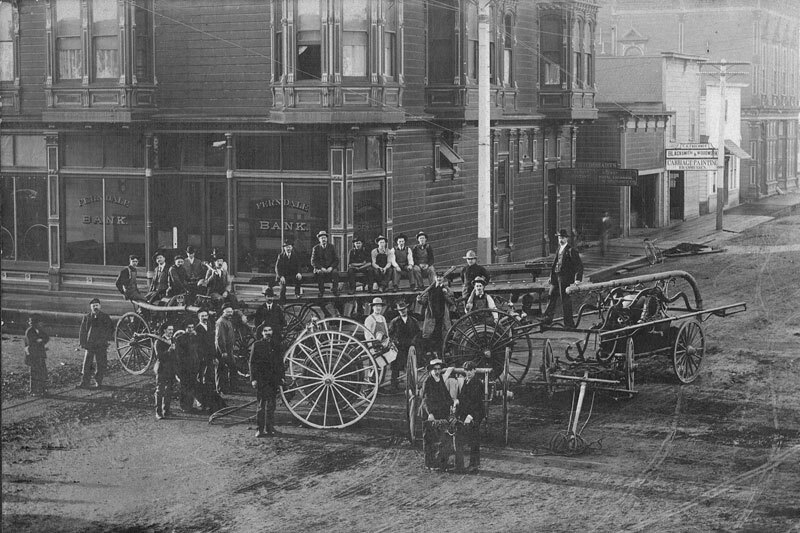 Group photo of FVFD c.1905. Left is the 1905 Waterous, center is 1898 Hook & Ladder, right is the Hunneman hand pumper. In front are the three hose carts, two from 1898 and the third from 1899.